What's your story behind dreaming up a good piece of clothing? Do your threads have a mission? We're teaming up the award-winning application Autodesk SketchBook, and the pithy design house Betabrand for a fashion design contest. Betabrand loves a piece of clothing with a story, so think fashion meets functionality. Create an Instructable documenting your process and clothing design from start to finish. You're welcome to using any drawing tools you like- but we're giving away a special prize for entries created in Autodesk SketchBook. We've provided a basic clothing template for modification, but feel free to make your creation from scratch. Chris Lindland, CEO of Betabrand and inventor of the Cordarounds will be on the panel judging your designs. Winning pieces have a chance at being produced and sold on the Betabrand website. Everyone who enters receives a 10% discount code for Betabrand! 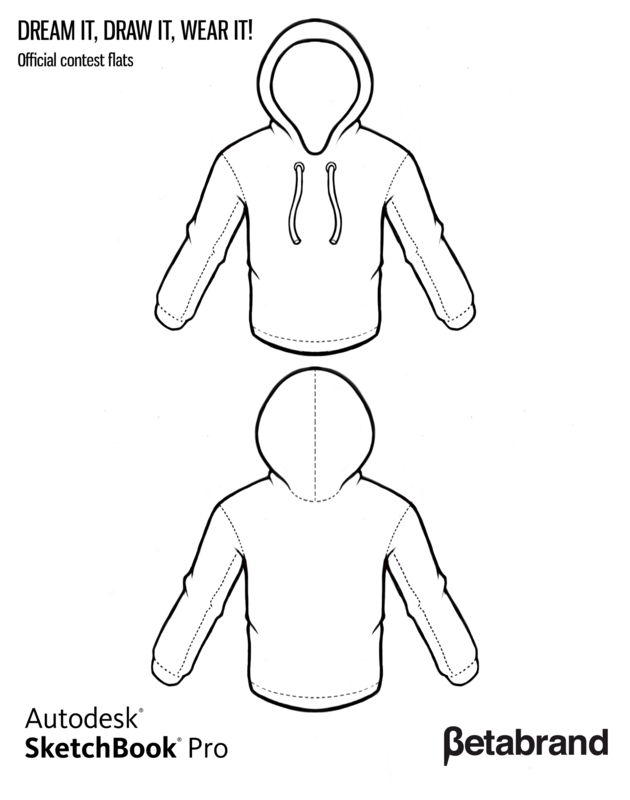 Download Autodesk Sketchbook Pro as a trial here, and download the basic clothing template for hoodies here, and pants here. Multiple entries are accepted, but each entrant can only win one prize. Contest is open to entries from US, Canada [excluding Quebec], UK, China, Belgium, the Netherlands, Australia, Colombia, Germany, Switzerland, Norway, India, New Zealand, and Denmark. The Contest begins at 12:00 a.m. Pacific Standard Time (PT), April 8, 2013. Contest closes for entries at 11:59pm PT, May 20, 2013. The Dream It, Draw It, Wear It Contest is closed. their choice of a pair of BetaBrand socks. Create a new Instructable that fits the guidelines outlined in the contest description above. To be eligible, Instructables must be published between Apr 8, 2013 and May 20, 2013 (11:59pm PT). Upon publishing your Instructable you'll see checkboxes for open contests. Select Dream It, Draw It, Wear It Contest. If you have entries currently eligible for entry, it will also show up by clicking "Enter this Contest" on the right side of this page. Sponsor. The Instructables Dream It, Draw It, Wear It Contest (the "Contest") is an on-line contest with skill, ability and knowledge components that is sponsored by Autodesk, Inc., a Delaware corporation having its principal office at 111 McInnis Parkway, San Rafael, CA 94103, USA ("Sponsor"), in connection with the Instructables service and website, www.instructables.com, (the "Sponsor Site"). The Contest is co-sponsored by the company or companies listed here, if any (each, a "Co-Sponsor"): SketchBook The Contest is governed by these Official Rules (these "Rules"). For any questions regarding the Contest, the Sponsor may be contacted by email at [service@instructables.com] or by mail at the address identified in Section B.18 ("Winner's List; Mailing List") below. Overview; Object of the Contest. 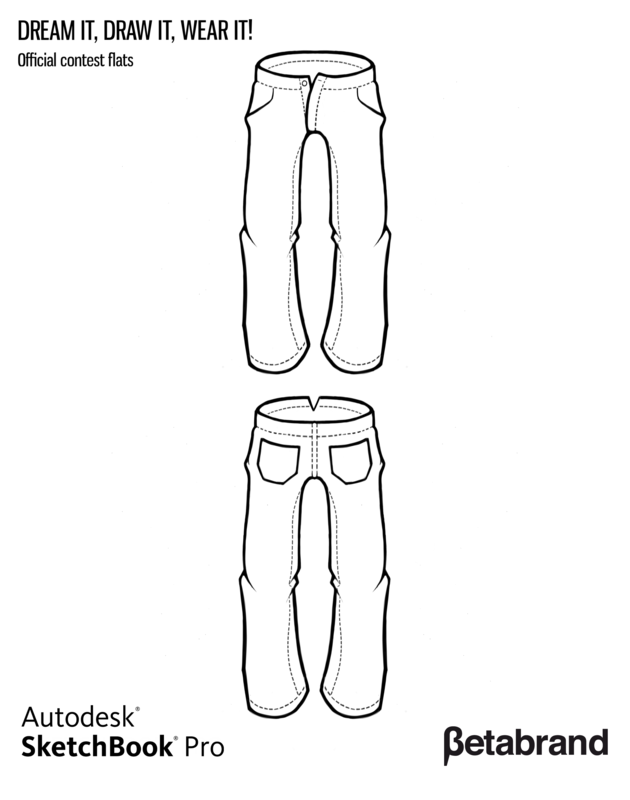 The object of the Contest is to create an Instructables project documenting an original clothing design from start to finish that meets the Criteria (as described in Section A.8 ["Judging"] below) and are submitted in accordance with the format, content and other requirements identified in Section A.5 ("How to Enter") below. All currency value references in these Official Rules are as indicated. Eligibility. THE CONTEST IS OPEN ONLY TO NATURAL PERSONS WHO, AT THE TIME OF ENTRY, ARE REGISTERED MEMBERS OF THE SITE, WHO ARE AT LEAST FOURTEEN (14) YEARS OLD (FIFTEEN  YEARS OLD FOR RESIDENTS OF NORWAY AND EIGHTEEN  YEARS OLD FOR RESIDENTS OF GERMANY), AND ARE LEGAL RESIDENTS OF THE 50 UNITED STATES (INCLUDING THE DISTRICT OF COLUMBIA BUT EXCLUDING PUERTO RICO), CANADA (EXCLUDING THE PROVINCE OF QUEBEC, CANADA), UNITED KINGDOM, AUSTRALIA, BELGIUM, CHINA, THE NETHERLANDS, COLOMBIA, DENMARK, GERMANY, INDIA, NORWAY, OR NEW ZEALAND, SWITZERLAND. If on the Start Date you are a "minor," meaning that you are under the age of majority in your jurisdiction (currently 18 or 19 in most U.S. states, and provinces of Canada and Australia; 18 in Belgium, China, the Netherlands, Colombia, Denmark, Germany, India, Norway, and Switzerland; and, for the UK, 16 in Scotland and 18 in most other parts of the United Kingdom), you must obtain permission from your parent or legal guardian, and your parent or legal guardian must consent to be bound by these Rules as if he or she were an entrant, before you submit an entry. Sponsor reserves the right to require minors to submit proof of parental/guardian permission and consent to these Rules at any time, without which they may be immediately disqualified from the Contest. Certain individuals are excluded from eligibility to enter or win, as described in Section B below. No purchase or payment is necessary to enter the Contest or to become a registered member of the Sponsor Site, and no purchase or payment, including choosing to purchase any "Instructables Pro" or other paid membership to the Sponsor Site will improve your chances of winning in any way. Winner Selection. There will be 18 total winner(s) for the Contest. The winner(s) will be selected on May 29, 2013, and Sponsor will announce the winner(s) on May 30, 2013. Each winner will be awarded only the prize(s) for which that winner was selected, as described below. Judging. All entries that are in compliance with all terms and conditions of these Rules will be judged on the basis of the following criteria (the "Criteria"): clarity, ingenuity, creativity, quality of presentation, and execution of the Instructable. Sponsor will establish a panel of at least four (4) individuals (each, a "Judge"), including at least the following: Editor of Pertinent Category and associate editors and employees from Betabrand. Two Judges from Sponsor's Instructables staff will choose 18 finalists from the pool of all eligible entries based on their preliminary assessment of whether the entries meet the Criteria. Finalists will be judged by the full panel of Judges. In choosing the winner(s), the Judges will judge each finalist on the Criteria and the Judging Process as described in Section B below. THE NUMBER OF VOTES EACH ENTRY RECEIVES ON THE SPONSOR SITE IS NOT ONE OF THE CRITERIA USED BY JUDGES TO SELECT THE WINNER(S). THE DECISIONS OF SPONSOR AND THE JUDGES WILL BE FINAL. SPONSOR WILL NOT CORRESPOND WITH ENTRANTS ABOUT THE DECISIONS OF THE JUDGES OR THE DETERMINATION OF THE WINNERS OTHER THAN AS EXPRESSLY PROVIDED IN THE RULES. Further information on the steps and process of voting and judging can be found in Section B below.